The Council of Ontario Directors of Education (CODE) is an advisory and consultative organization composed of the CEOs of each of the 72 District School Boards in Ontario; Public, Catholic and French Language. We invite you to scroll through our 'What's New' section. 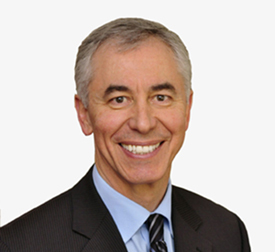 The CODE Executive has appointed Tony Pontes as its Executive Director. Jim Costello has spent 34 years in education as a teacher, Principal, Superintendent and Director of Education. He currently serves as the Director of Education for the Lambton Kent District School Board (LKDSB). more information here. The final report of the CODE project Classroom Robotics and Acquisition of 21st Century Competencies has been posted on the Strategic Action Research page of our website. Click here to access full report. The Council of Ontario Directors of Education has begun a project to support Directors as they work towards building inclusive school systems that support bias free decision making for all students and school communities. The project will provide written resources and directions to assist senior management of boards in structuring fully inclusive school and board environments. Directors will receive guidelines for examining biases and addressing issues through positive strategies in decision-making. The project, funded by the Ontario Ministry of Education, was introduced at the August 2017 meeting of CODE and will report to the January 2018 meeting of CODE. Seven former Directors of Education are leading the project and gathering input from senior administrative teams across the province. The Canadian Education Association (CEA) is introducing EdCan Network memberships which is a broadening of access to CEA benefits. Check this out at www.edcan.ca. Click here to access the Final Report and Synopsis of Round Six 2016-17 'Chronicling the Impact of the 21st Century Innovation Research Initiative on Students, Teachers, and System.' It includes summaries of program use of technology in the Ontario District School Boards. Preventing student injury and creating greater safety awareness in ourschools is the goal of the ongoing Student Injury Prevention Initiative, acomprehensive program designed to help school boards plan their student safetyresponsibilities in a sustained, proactive and systematic way. And to furtherthose aims, CODE has launched osip.ca , a"one-stop" online community for questions,and to shareresources that enhance student injuryprevention measures in schools and school boards across Ontario. With fundingfrom the Ministry of Education, this inclusive destination for principals,supervisors, board safety leads, and others responsible for student safety intheir schools pulls together the most up-to-date information and best practicesfor the prevention of student injuries in the province. The first of a series of strategic action research projects coordinated by CODE 2015 - 17. The project report evaluates 'the impact of teacher support for the use of video games in Grade 7 and 8 classrooms'. More information and full report here. With support and funding from the Ministry of Education (EDU), the Council of Ontario Directors of Education (CODE) successfully coordinated Phase One and Phase Two of this important initiative. CODE will once again have a key role in facilitating Phase Three of the Student Injury Prevention Initiative (SIPI). This phase focuses on ensuring that student injury prevention is approached in a sustained, proactive and systematic way. 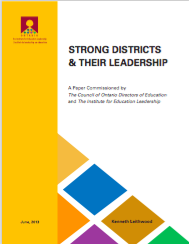 This Report looks closely at Ontario’s evolving, multi-phased 21st Century Teaching and Learning Strategy which builds upon strong, positive and collaborative relations between the Ministry of Education and education leaders in District School Boards. More information and report here. The Ontario government has provided special grants to district school boards to enhance technology equipment and software within thier boards. Each director received funding to investigate what might be valuable for their system and has provided a brief summary here. Posted here you will find the Curriculum Services Canada reports and the artefacts developed by the district school boards. These documents show the positive results of the development of new learning in Ontario enhanced by the Technology Learning Fund. Brief Summary. On behalf of CODE, I welcome Tony to this permanent position. We look forward to ongoing success in our collective efforts to support publicly funded education. L’exécutif de CODE a nommé Tony Pontes au poste de directeur exécutif. Au nom de CODE, je souhaite la bienvenue à Tony à ce poste permanent. Nous espérons que nos efforts collectifs pour soutenir l’éducation financée par des fonds publics continueront de réussir. The Council of Ontario Directors of Education is committed to providing professional learning opportunities and building leadership capacity for Directors and Supervisory Officers regarding equity leadership, anti-racism, anti-oppression training and understanding the impact of biases and systemic barriers on decision making. School board leaders need to have a foundational knowledge that helps them identify their own biases, and how these biases can impact daily decision making and school board processes and practices. 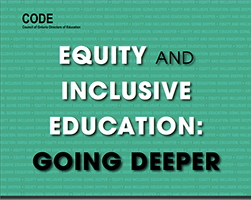 To further its ongoing support for equity and inclusion in Ontario schools, CODE is pleased to introduce Strengthening Inclusive Schools: a Guide to Bias-Aware Decision Making and its companion User Guide. 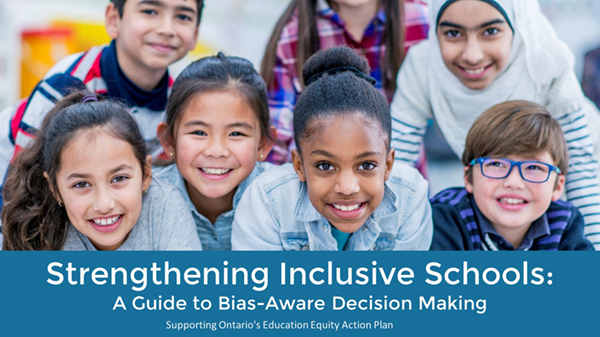 As part of CODE’s ongoing partnership with Ontario school boards and the Ontario Ministry of Education to furthering equitable and inclusive education practices in all schools, this resource was developed by a CODE team of Directors of Education who shared their professional expertise, and supported the development of Strengthening Inclusive Schools: a Guide to Bias-Aware Decision Making. The Guide offers practices, strategies, policies and processes that they have implemented to build positive, engaging, safe, accepting and inclusive schools. Education leaders hold significant influence over the culture of learning in Ontario school boards, including the capacity to build inclusive and bias-free school communities and lead effective change in these areas. Strengthening Inclusive Schools: a Guide to Bias-Aware Decision Making and its companion User Guide is another vital resource in assisting school and board leaders to continue this important journey. 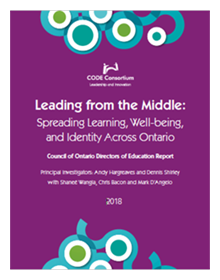 The CODE Consortium for System Leadership and Innovation (CCSLI) releases Hargreaves and Shirley Report - Leading from the Middle: Spreading Learning, Well-being, and Identity Across Ontario. The purpose of CCSLI is to enhance the educational experiences and outcomes for all students and staff. The Consortium builds connections and mobilizes knowledge among and within school boards, researchers, and the Ministry as well as through partnerships at the provincial and local levels. Since 2005 CCSLI has represented ten Ontario district school boards that have been involved in this province-wide initiative. The Consortium held a symposium on November 2, 2017, attended by close to 150 participants to hear about the report from Andy Hargreaves and Dennis Shirley. The report and executive summary are posted on the CODE Consortium web page. Go to the CCSLI web page to learn more. Now in Phase Three CODE has a key role in facilitating Phase Three of the SIPI. This phase focuses on ensuring that student injury prevention is approached in a sustained, proactive and systematic way. There is no doubt that classrooms and schools in Ontario are changing with the introduction of technology enabled learning and teacher and student innovation. District School Boards are reporting heightened student engagement, deeper learning of 21st Century skills and increases in student achievement. To learn about the exciting changes taking place I encourage you to read the Technology and Learning Newsletters that tell the story of technology changing teacher practice and the growth of 21st Century student learners. Recently posted Newsletter #4 shares board success stories of opportunities to increase student achievement, and includes student and teacher testimonies about the significant impact that technology has on their learning and their life. On the Technology and Learning Fund site you will find the latest TLF Guides (February 2017), all of the the Newsletters plus Curriculum Services Canada reports and the artefacts developed by the district school boards. Reporting on the Findings from the Ontario Ministry of Education's First Nations, Métis and Inuit Focused Collaborative Inquiry Initiative 2013 – 2014,Year One and 2014-2015,Year Two are also posted. Click Here to read Year One and Year Two Reports. Working toward these shared mandates and common goals, in October 2013 the Council of Ontario Directors of Education (CODE) and the Council of Ontario Medical Officers of Health (COMOH) formed a provincial partnership committee. Now available: April 13, 2018 Meeting Notes and the CODE/COMOH Committee's Terms of Reference updated April 2018. Go to the CODE-COMOH Page to find out more. The Leadership for Learning Academy is developed in partnership with OCSOA, OPSOA and AGEFO and is intended to provide Ontario Directors and Superintendents with an opportunity to engage in an inquiry based professional learning experience that focus' on system – wide innovation and technology enabled pedagogical practice. Responding to requests from school boards for a companion piece that builds on and enhances the information contained in Going Deeper, CODE is pleased to introduce a complementary online component to the Going Deeper rubric. Here you will find practical information, tips, resources and "Look Fors," conveniently broken down into modules reflecting the rubric's eight areas of focus. It's all designed to help guide your board toward effective implementation of Equity and Inclusive Education in Ontario's schools. The Council of Ontario Directors of Education is pleased to provide two new resources to support parents. 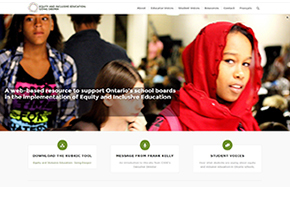 Back ground - Several sets of materials have been developed by the Council of Ontario Directors of Education and funded by the Ontario Ministry of Education. 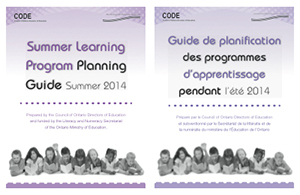 CODE has developed a revised Summer Learning Program Planning Guide for district school boards. The Guide offers a brod range of examples and also details deliverables and expectations for summer learning programs. As part of the CODE Health and Safety In Schools project and as a support to the Ontario Ministry of Education Student Injury Prevention Initiative a series of student safety resource guides and safety checklists have been developed for student safety in Grade 7 to 12 science labs and technological education facilities. New: Executive Summary in English & French Posted April 16, 2014. Learning from the Ontario Ministry of Education's First Nations, Métis and Inuit Focused Collaborative Inquiry Initiative 2013 - 2014. Click Here to go to the Listening Stone Project. CODE with funding from the Literacy and Numeracy Secretariat continues to coordinate a summer learning program and research study designed to help primary students close the achievement gap. CODE has developed a series of advisories to assist senior administrators. These brief statements on practical aspects of administration and student learning are concise and based on the experience of practitioners and include a historical and political perspective where needed. CODE manages the School College Work Initiative (SCWI) which has developed numerous projects across the province and provides forums at the regional level to facilitate pathways for students going to college. CODE administre l'Initiative de jonction écoles-collèges-milieu de travail (IJECT) comprenant de nombreux projets partout en province incluant des forums régionaux, le tout ayant comme objectif de faciliter l'accès au collège pour les élèves du secondaire. CODE on its own and in partnership with the Ontario Ministry of Education has completed a number of projects focused on specific educational initiatives that are of interest to our membership. 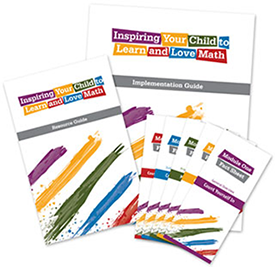 These materials have been developed by the Council of Ontario Directors of Education and funded by the Ontario Ministry of Education.